He won the 1971 Targa Florio with Nino Vaccarella in an Alfa Romeo 33/3. It was Vaccarella’s second Targa victory. A legendary battle unfolded between the nimble 908s (550 Kg, 360 HP) and the more powerful but heavier Alfa 33s watched by about half a million people. Brian Redman and Rodriguez started well with their Porsches and both crashed out. Ironically, Rodriguez lost control in the town of Collesano, driving over the sign “Viva Porsche” painted on the asphalt. Meanwhile Vaccarella passed the leading Porsche of Larrousse and handed over to Hezemans. At that time Vic Elford was flying through the Madonie Mountains when a flat tire forced his Porsche to retire. So Alfa Romeo took the Targa Florio again, finishing first with Vaccarella-Hezemans and second with De Adamich- Gijs Van Lennep. By pushing hard in the early stages Hezemans/Moffat were in third place by lap 34. The Jochen Mass / Dieter Glemser car had a lead of two minutes over the rest of the field. At half distance the Capris pitted and temporarily surrendered their lead to the Japanese. Unfortunately for Toine and Allan a wheel bearing failure put their car out of the race on lap 71 but Mass/Glemser went on to win. In 1976 Hezemans tried to hire the Penske PC3 in that year for Hayje’s to race in the Dutch Grand Prix. Unfortunately for them Penske won the race before in Austria, so the cost went skyhigh. They decided to buy the car instead – quoted at 78.000 pound sterling, including a fresh DFV engine. In the 1977 Nurburgring 1000 Kilometers’ race he drove a Porsche 935 with Rolf Stommelen to victory. Finishing a lap ahead of the 935 of Kremer Racing driven by Bob Wollek and John Fitzpatrick. 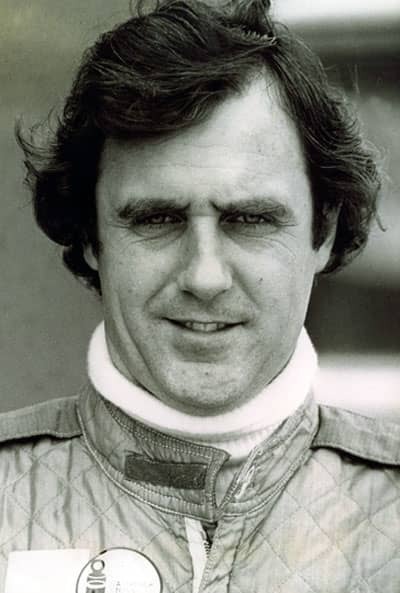 Then in 1978 race he led a clean sweep of Porsche 935 driving with Klaus Ludwing and Hans Heyer. the race was determined on the aggregate of two 22 lap heats around the 14.18 mile Nordschliefe circuit. 935s finished first through fifth. During 1997 he entered two Lotus Elises V8 in the GT1 class of the FIA GT championship, both for his son Mike and former Le Mans winner Jan Lammers. The project wasn’t successful, but Toine thought there was some potential.